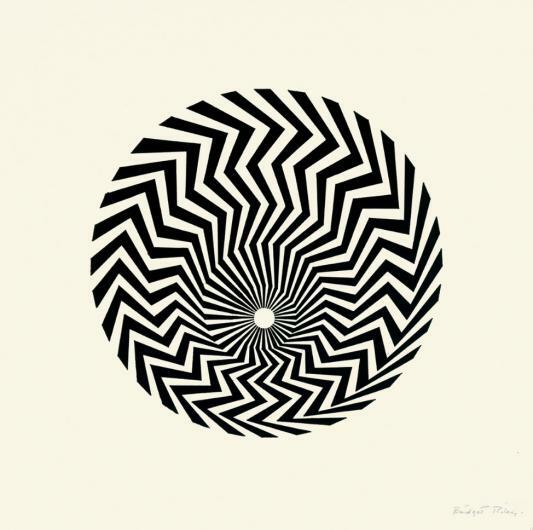 This untitled screenprint by British artist Bridget Riley, is based on one of Riley’s most iconic pieces, ‘Primitive Blaze’. Dating back to 1962, the same year in which Riley had her first solo show at Gallery One in Soho, ‘Untitled (Based on ‘Primitive Blaze’), displays an interest for visual instability and spatial ambiguity. Bridget Riley was the first British artist and the first woman to win the Venice Biennale’s Painting prize, and works from the 1960s deeply influenced the rest of her career. Recently the subject of a retrospective at Tate, Riley is one of the most internationally appreciated British artists.